Since today is the day when children typically put on costumes and go around to their neighbors' houses to ask for candy, I thought I'd take a minute to let everyone know about my favorite candies. I love Milkfuls. Like so many other things (why did they take away Dunkin Donuts Cereal??? ), they are no longer available. At least not in the United States. I think they might still be sold in other parts of the world. 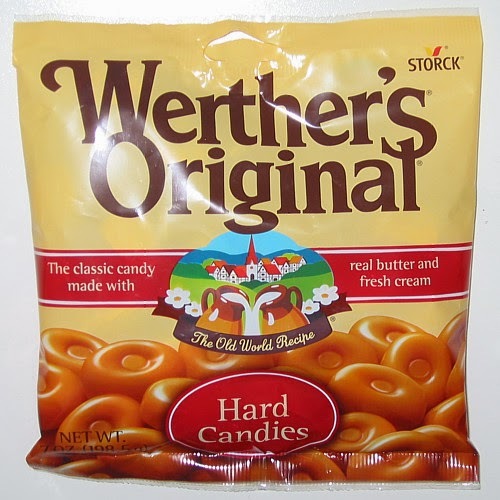 Werther's Original is another one that I really enjoy. Thankfully, these are still around. 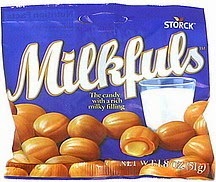 I used to eat these all the time at my grandparents' house. 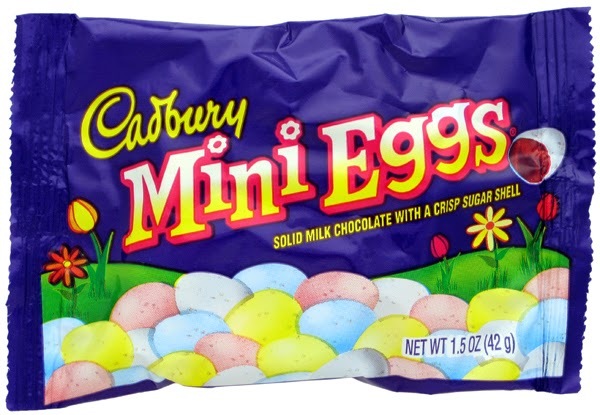 They're not in stores this time of the year, but around Easter I buy a lot of Cadbury Mini Eggs. I absolutely hate the Cream Eggs, but the Mini Eggs are just chocolate with a hard candy shell. Like an M&M I suppose, but with more chocolate and the shell tastes better. I don't really love chocolate. I like it, but rarely eat it by itself. Reese's Peanut Butter Cups are good, but the small size Reese's Eggs they have around Easter (again, Easter beats Halloween for candy) are the best. The chocolate-to-peanut-butter ratio is perfect in those - more so than any other variety. Stock up on these at Easter! Snickers bars are okay, and just about the only American candy bars I will eat. I have to say that my favorite candy bar is the Nestle Lion Bar. I got hooked on those things when I was in the U.K. back in 1995. I buy several whenever I find them anywhere in the United States, which is rare. Also, the U.K. Kit Kat is far superior to the U.S. version due to the use of Nestle chocolate in their European production. Are you hungry now? Put on a costume and go knock on your neighbor's door.